Dr. Sahrum Ses was born in 1957 in Malaysia. He is married, with 5 children and lives in Kuala Lumpur. He received B.Surv. from UTM (1984), M.Phil. from Newcastle University (1988), and Ph.D from University of South Australia (1997). He was a dean for Faculty of Geoinformation and Real Estate UTM and professor at Geomatic Engineering Department for 10 years. Currently he is a director and leading consultant for GEOTECH Consultant Sdn Bhd (Malaysia). 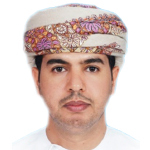 He has been involved in various consultancy tasks in UAE, Kingdom of Saudi Arabia and Sultanate of Oman. His areas of interest are in geodetic surveying, GNSS, geoid modeling, and spatial data infrastructure (SDI). 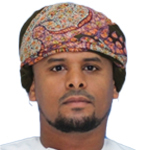 Currently he is technical consultant for on-going NSA geospatial infrastructure projects in Oman namely ONCN, ONGM and Oman Datum 2017. His technical papers were published in several impact factor journals such as Survey Review, Marine Geodesy and Physical Sciences. Recent development in Oman requires latest geospatial infrastructure for providing the country with homogenous horizontal and vertical control. Modern geodetic control infrastructure comprising of CORS stations network will provide control and positioning services throughout the country. The operation of new ONCN system will indicate the beginning of modern 3-D positioning service era for the country. New geoid model has been established and become one of the fundamental geodetic layers for the future national SDI. Together with CORS network of ONCN system, the geoid model will serve real-time GPS-Leveling applications in the country. The geoid model will also provide platform for various scientific and geodetic investigations such as local/regional Sea Surface Topography (SST) and geodynamics in Oman.
. CORS networks provide a backbone for effective parcel data collection on a common reference frame. In civil engineering, GNSS-CORS machine guidance delivers significant increases in productivity and improved on-site safety. The seamless acquisition and exchange of data that real-time CORS infrastructure provides enhances rapid acquisition and leverage of spatial data for an ever-increasing variety of applications. The other applications are in the field of marine-land-air navigation, precission agriculture, mining, construction, surveillance, border security, and emergency services. The benefit to this is not simply an overall reduction in costly data acquisition and processing, but also the increased speed at which decision-makers can act effectively. 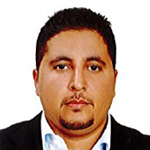 Dr. Oualid Ali has obtained a bachelors degree in Management Information Systems (MIS), in 1998, from the "Institut Superieur de Gestion" (Higher Institute of Management), in Tunis, Tunisia. In 1999, he moved to Canada, Laval University, Quebec, to carry on further studies and obtained a Master degree in Computer Science in 2001, and PhD in Computer Science in 2006. After his PhD study, in 2006, he moved to UK to work as senior research assistant because he has received a 2 years- MARIE-CURIE prestigious scholarship to work in bot York University and Hull University. In 2008 he moved to the University of Sharjah (UAE) to work in the MIS Department in the College of Business Administration. In 2010, he became the Head of the MIS Department in the College of Business Administration, University of Sharjah. In 2015, he has moved to Muscat to hold the position of Director of the Training and Smart Solutions Center (TSSC) in the German University in Muscat, Oman and he has become responsible of research, innovation training and consultancies. 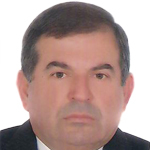 Dr. Oualid Ali is a research leader in the following areas: Smart, sustainable and future cities; Digital transformation; Digital Innovation and Entrepreneurship, Digital Leadership, Business Analytics, Big Data, Open Data, GeoSpatial Technologies (especially GIS), Management Information Systems (MIS), Business Information Systems (BIS), Business Intelligence (BI), Location Intelligence (LI), etc. 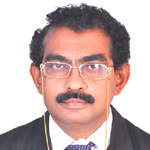 He has published several papers in renowned international journals. He has participated in many international and national events such as conferences, symposiums, etc. as a guest or keynote speaker. He has participated in numerous projects around the world, either as a researcher, trainer or consultant." 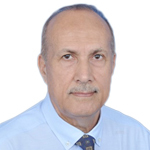 In the field of Smart, Sustainable and Future Cities, Dr. Oualid is considered as one of the international well-recognized expert. He has participated in several smart (future) cities projects as a researcher or as a consultant. He was involved in the planning and implementation of future cities in many domains such as Smart mobility and transportation, smart tourism and destination, smart energy, smart healthcare, smart logistics, smart waste management, smart parking, smart water management, smart education, smart security, smart policing and law enforcement, etc. He has given several training and capacity building courses related to that field. Moreover, he is a member of several organizations related to the area of Smart Cities or Urban technologies. He has been invited in several occasions in local, regional and international events as a guest or keynote speaker in order to deliver talks about future cities and its domains. Recently he founded two organizations: The FutureCitiesCouncil.org and the ArabFutureCities.org where he is the president (http://www.futurecitiescouncil.org/). Hans is responsible for Oracle's Spatial and Graph technologies as well as Oracle Big Data Spatial and Graph as Director of Product Management. He studied Physics at Hamburg University and Imperial College, London, and started his career in Research with the prestigious Max Planck Gesellschaft before joining ORACLE over twenty years ago. He has been working on GIS Systems, Spatial Databases and Spatial Data Infrastructures since the mid-Nineties and turned Spatial and Graph database sales into a sustainable business for Oracle Germany over the following years. 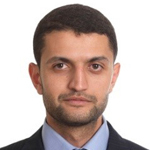 After various positions in Presales Management he joined the Product Management Team in 2011 and since then acts as the representative of the Oracle Spatial and Graph Development Team across Europe, Middle East and Africa. In this role he is responsible for key projects and strategic partnerships, marketing activities, as well as internal awareness around the Location Products within ORACLE's various regional organizations and business units. 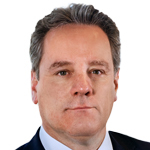 He also serves on the Advisory Board of InGeoForum, Germany. "Do you speak GeoSPARQL? - Using Linked Data Concepts to Blend and Analyze Geospatial Data" The use of Linked Data concepts has become increasingly important in Europe and beyond, especially in the context of open data initiatives, but also in eGovernment projects in general. The main reason for the popularity of this approach is that it makes data more easily consumable by providing context with each dataset in a standardized way, thus creating more value than just publishing it in the conventional manner. The approach addresses the requirement to deliver semantic interoperability besides simple technical interoperability and thus enables the conflation of data from diverse sources as well as deriving new knowledge by means of reasoning. This session aims to provide the fundamentals of Linked Data in conjunction with geospatial information, using two projects from Europe to illustrate the methodology as well as the results achieved to date. Both projects are based on Oracle Spatial and Graph, an extension to the Oracle Database delivering comprehensive Linked Data capabilities, including the support for GeoSPARQL, besides the well-known data management and analysis capabilities for geospatial data. 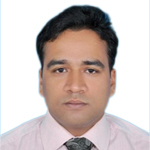 Swami is a Senior Consultant at Red Planet Consulting Pvt. Ltd., and has around 5 years of experience in dealing with various utility clients across the world. He has been actively involved in various stages of the GIS Project Lifecycle such as Datamodel Implementation, Validation of Data Import, Re-Designing existing Business processes to enable GIS integration, Integration with SCADA DMS/OMS, Field Force Automation, etc. Zero-Touch Energy Audit: Building a "Site-Visit free" Energy Audit system using GIS Energy Audit is considered fundamental to ensure a systematic approach for decision-making in the area of Energy Management. Energy Audit, in the absence of GIS, is found to be limiting in its capability to create a balanced energy sheet and help identify/plug revenue leakages. By integrating GIS to their existing Energy Audit process, utilities can not only bridge these gaps but also leverage the various analytical capabilities that GIS extends such as load planning, efficiency calculations, etc. NPCL, an electric utility in North India, has embarked on implementing an enterprise wide GIS system using Smallworld Electric Office technology with the goal of making it the central repository for capturing, storing, & analyzing spatial data. As part of this project, NPCL aims to integrate GIS into its existing Energy Audit process to help augment its efficacy. GIS Application of Renewable Energy Projects This paper aims at evaluating and or designing a proposed GIS model in order to find the best sites for establishing renewable energy projects. By defining the main site selection criteria (technically, economy, environmentally and socially) from previous studies and consulting specialists in renewable energy, to build and develop a comprehensive GIS-based decision making procedures. Depending on GIS applications. The paper used different methodologies (Descriptive, Analytical, experimental) based on data collecting from the relevant resources such as Ministry of Energy, Ministry of Environment, Energy Research Center, NEPCO, DLS, and Municipalities. The paper also used the (AHP) method in the process of assessing the appropriate spatial in the creation of the proposed model for the construction of sustainable renewable energy projects. The paper found an integrative relationship between the utilization of renewable energy sources and sustainable development, showing the importance of taking advantage of renewable energy sources in Jordan as a strategic choice. The paper also presented a proposed model for the development of renewable energy projects in Jordan using GIS. The paper endorse the need to establish spatial and descriptive data bank for Jordan, in order to encourage renewable energy investments, with employment of geographical information system as geographical properties of Jordan is found to be an excellent place for such projects. performed in varied roles such as Solutions Architect, Technical Lead, Release Manager, Software Programmer, Business Analyst. His experience comprises of various aspects of Software Development such as OOPS Programming, RDBS Data Model Design, Code Review, Test Automation and Team Mentoring. Currently Taj is a Business Development Consultant with Red Planet Consulting, where he works with utilities and advises them on Geospatial Solutions for their processes. 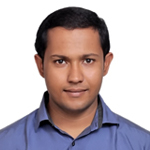 Taj has previously worked in organizations such GE Energy ( UK ), GE Energy ( India ) , TATA Teleservices (India) and he holds a Bachelor Of Engineering in Civil engineering from Osmania University, Hyderabad , India. Geospatial Analytics in Utilities Utilities have over the years installed Assets, built Networks and have invested significantly in storing this As-Built Network in large disparate databases. There is a constant need for utilities to utilize this data and make their Network Planning processes efficient, make Educated Decisions and Manage risks. Geospatial Analytics plays a very important role in achieving the aforementioned objectives. Geospatial Analytics is about viewing and making deep analysis of an Utilities Enterprise data within a geospatial context. -Characteristics that any GeoSpatial Analytics Solution should have. -General Electric's GSA spatial analytics as an example of Spatial Analytics. 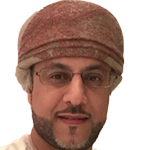 - Graduated in Geography bachelor at Sultan Qaboos University in 1994. - Field Survey leader Team from 1998 to 2009. - Head of Filed Survey section since 2015. Lt Col Engineer Mahfoodh Juma Al Araimi is SO1 Digital Geographic Database at the National Survey Authority (NSA). He occupied various positions at the authority and he also attended lots of courses and training workshops in the field of Geospatial and topographic survey. During the past years he served as a project manager for a large number of national projects related to the national geospatial infrastructure such as National Geoid Model, National Topographic Database, Oman COURS Network, and Oman Geospatial Manual. He holds a master degree in Military Geographic Information (MGI). Establishment of OMANCORSNET and OMANGEOID One of the tasks of the National Survey Authority (NSA) is to establish and maintain the surveying and mapping infrastructure in the Sultanate. Therefore, NSA has recently established the National CORS network (OMANCORSNET) as well as the National geodetic model (OMANGEOID). These two projects will meet the requirements of various applications in the Sultanate, as well will help to consolidate the spatial data formats that are produced in different sectors. THE CAPABILITIES OF THE NATIONAL SURVEY AUTHORITY IN THE FIELD OF GEOSPATIAL INFORMATION National Survey Authority is the entity responsible for a production of geospatial information in the Sultanate of Oman as well as providing infrastructure for geodetic data associated with geospatial information. This paper will highlight on the capabilities of the National Survey Authority in the field of infrastructure, geographic and spatial information for different users in the Sultanate of Oman. 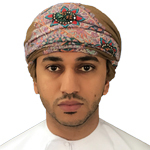 Salim Mohammed Humaid Al Waili currently holds the position of SO1 Photogrammetry and Data Analysis at the National Survey Authority, Ministry of Defence, Sultanate of Oman. Salim has been with NSA since 1995, having held various positions including SA GPN, SA Production, SA Photogrammetry, Geographic Information Coordinator and lately as the Head of Photogrammetry Section. Salim holds a Bachelors in (Earth Sciences) from Sultan Qaboos University, Sultanate of Oman, a Diploma (Photogrammetry and Remote sensing) from ITC, Netherlands and a MSC (Remote Sensing) from UTM, Malaysia. Remote Sensing Science (Importance and Applications) Earth and its environment are studied by different scientific fields which are part of geosciences, science of engineering, social sciences, geography, etc. Photogrammetry and Remote Sensing (defined by Statute II of ISPRS) is the art, science, and technology of obtaining reliable information from noncontact imaging and other sensor systems about the Earth and its environment, and other physical objects and of processes through recording, measuring, analyzing and representation. Therefore, according to this definition, photogrammetry and remote sensing can support studies of the above disciplines for acquisition of geoinformation. This paper will focus on current applications of remote sensing data in National Survey Authority and other mapping agencies. Mr. Yousuf Al Nabhani is the SO1 Geographic place names at the National Survey Authority with responsibility for National Geographic Names. Prior to joining NSA, Mr. Yousuf worked in Geographic support section involved in archiving of aerial photos, maps, geographic library and geographical names. 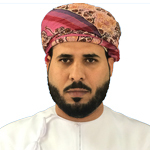 Mr. Yousuf received his degree in Geographic science from collage of art from Qaboos University in year 1994. 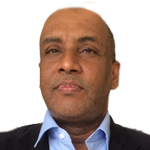 He had a high Diploma in Geography from Egypt in2001 and MSC in Geographic names from Glasgow University in UK in 2007. Policy for obtaining Security Clearance for Aerial Photographs & UAV within Oman With the progress in airborne tourist entertainment and related widespread airborne activities, it is necessary to establish specific controls and mechanisms to organise these activities within the Sultanate of Oman taking into account security aspects. The airborne survey equipment presents unique challenges due to their ability to use variety of sensors to gather information from vintage points often for long periods and on a continuous basis. Hence it is imperative to safeguard the Nation / Individuals interest by ensuring the Physical Security & the Information Security. National Survey Authority (NSA) is authorised for creating, controlling and distributing Geospatial Information in Oman collected either on ground or from Air. NSA issues The flight permission process for Geospatial Data collection services like Aerial Photography or Unmanned Aircraft Vehicle (UAV) or for social or entertainment services like Hot air ballooning, Parachuting and free fall jumping, Micro-light aircraft or gliding etc. 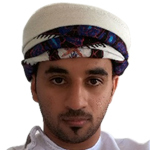 Salim Khamis is the SO1 Geospatial Database Infrastructure at the National Survey Authority (NSA) - Sultanate of Oman. He graduated with an MSc in Geographic Information Science from the School of Surveying and Construction Management in the Dublin Institute of Technology in 2015. Salim has worked at the (NSA) as a Photo Archive Officer in the period from 1994 until 2014, and he has been promoted to the SO1 Geospatial Database Infrastructure in 2015. The Development of Geospatial National Framework (GNF) 5K Data Specification for an Industry & Business Model in Oman The National Survey Authority (NSA) is the Sultanate's National Mapping Authority responsible for the production and supply of Geospatial Data. In the absence of fully structured Geographic Information (GI) national referencing framework (5K database), research was undertaken to develop Geospatial National Framework (GNF) scale 1:5,000 data specification for industry and business in Oman. The best practices OS Master Map (Great Britain), FOT4 (Denmark) and Prim2 (Ireland) together with the available 1:5,000 data model, technical specification at the NSA, industry and business data requirements were used to develop the new model which may be used for SDI, automotive navigation system, land registration, utility management, oil and gas data repository,..etc. Local authorities also can use the framework for land management. 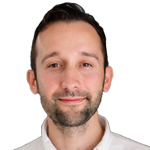 Matthew Pennells is an Information Management professional, specialising in location intelligence, with an extensive career in public, private and voluntary sectors. His work and volunteering has led him through many topics and business areas both in the UK and overseas. 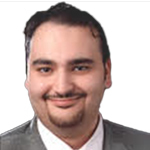 Currently Matthew leads ConsultingWhere's Middle East & Africa Office from Dubai. Matthew also volunteers with the international humanitarian mapping charity MapAction which sees him deployed to disaster affected areas around the world. Matthew represents the geospatial industry through his role as Director of the Association for Geographic Information (AGI) and outreach work with academia. Demonstrating the value of geospatial - research and case studies Many of us in the geospatial or location intelligence industry know all too well that 'geo' underpins the majority of economic activities, the challenge is proving this in our quest to educate others about the power of location intelligence and grow its footprint. At ConsultingWhere we set out to use proven methodologies to demonstrate the value of including geospatial in service delivery and how this relates to the national economy. In addition, it is often a challenge to show how geospatial adds value in quantifiable terms however methods do exist to support this which will be highlighted. This paper discusses the outputs from an in-depth study into the return on investment potential of including geospatial in service delivery. It goes on to highlight case studies that show how the hard to calculate benefits can be achieved. Mr. Mutasem Jokhdar who holds a B.Sc. in Software Engineering and M.Sc. in Management Information Systems, is the Business Development Manager of InfoGraph, the Esri distributor in Jordan. 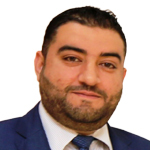 Mr. Jokhdar has over 13 year of experience in geographic information systems projects in Jordan and in the region covering a diverse range of topics and client types. He is also responsible for full project life-cycle management from proposal writing, scoping, costing, and client negotiations to actual project direction and oversight of other teams. Eng. Fuad AlShannaq has long experience in working with the government organizations as geospatial consultant and subject matter expert, he served with the government of Jordan as a mapping and geodetic engineer for more than 10 years, where he was exposed to manage and implement different mapping project. He was the Local Team lead in developing the first GIS Unit in Jordan in 1989. 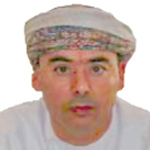 Since 1996, he is working with different government organizations as GIS consultant and SDI subject matter expert in the Sultanate of Oman and in United Arab Emirates, participating in the efforts to make the GIS use more valuable and effective. The Traditional GIS installed on desktop or server, which has been used by the geospatial community for decades, is facing many challenges to overcome at the enterprise and national levels, mainly the effective collaboration between users in different business and industries. GIS Cloud using of the cloud environment for data capture, visualization, analysis and sharing, is changing the GIS from single, isolated, professional focus technology to true collaboration on all levels of users for the entire workflow of the organization, allowing access to shared data and maps at anytime, anywhere, online & offline. GIS Cloud platform provides tools from public cloud or private cloud (on owner servers) accessible at the same way on web-based environment helping data management, analysis, sharing, and optimizing in real time. it provides online maps, geospatial data, imagery, computing or analysis as on demand managed services, preventing in this way , data and work loss from frequent outages and minimizing financial risks, while increasing efficiency at the same time. GIS Cloud supports viewing, creating, monitoring, managing, analyzing and sharing maps and data with other users, facilitates inputs, validation and collaboration by a global mobile workforce in real time with effective validations and analysis within shorter time and improving ROI. Today, many organizations are using the GIS Cloud to ease their daily operations and planning activities, from Roads infrastructure and Road maintenance to simple restaurants or commercials inspections, more than 90,000 users and 2 billion features are shared and accessed through the GIS Cloud today and it increasing every day. 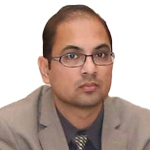 Amol Ganesh Deshmukh is a Certified Project Management Professional (PMP) from Project Management Institute (PMI), USA with 14 years of experience in Executing and Managing Geospatial Technology Projects covering services like High-end Digital Photogrammetry, GIS and Remote Sensing. At present working in NSA as a Geomatics Specialist. GIS & Big Data Analytics The success of geospatial application in any project depends upon the selection, collection, sorting and end-usage of data. As the amount of remote sensing and other geographic data keeps getting bigger every day, the traditional GIS systems are often insufficient for meaningful interpretation. As Big Data technology is able to process large quantities of data in the shortest curve, it has emerged as a new frontier for geospatial analysis. Mobile Mapping System and Unmanned Aircraft System for Sultanate of Oman Sultanate of Oman is developing very rapidly in terms of industrialization and urbanization, to match the development the most vital and critical requirement is up-to-date and accurate geo-spatial data. To fulfil the high demand as well enhance the day to day traditional surveying NSA Plan to procure Mobile Mapping technology and Unmanned Aircraft System to support the Sultanate at the time of any immediate need to Geo-spatial and other Aerial Information. 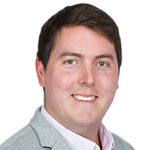 Glyn Arthur is the VP of Business Development at Luciad based at the head office in Leuven, Belgium. Glyn has spent the last twenty years in varying aspects of the defence industry and has extensive experience in military pilot training and air traffic control. The world in which we live is increasingly an urban one. In 2016, the UN estimated that 54.5% of the world's population lived in urban areas and by 2030 this will rise to 60% with one in every three people living in cities with at least 500,000 inhabitants. This raises complex challenges for the organisations which plan, administer and protect cities, covering everything from ensuring that everyone has affordable energy and feels safe from crime, to helping tourists get the most from their visits. Failures in any category has the potential to harm the economy, hinder peoples' lives and cause a collapse in citizens' trust of their government. These challenges must be tackled with a matter of urgency. We must work smarter, and so must our cities. The question is, how? The answer lies in one of the other major world trends – the emergence of the Internet of Things. From street lights, to energy grids and video cameras, more and more of the fabric of everyday life is becoming connected. Network connectivity, of course, means data. However, focusing on raw data is not enough. To achieve the goal of creating smarter cities we must relate this data to its geospatial context to unlock the powerful insights within. Our work with Oracle shows one such way of doing this. We used our GIS APIs to create an application capable of combining 3DCityGML's highly detailed building models with Oracle's Data Base Management Software in order to provide users with that vital geospatial context. In our presentation we will use a full 3D model of Berlin, containing 550,000 buildings to demonstrate some of the many ways insight can be gained from IoT data when placed in context. For example, noise data from sensors across the city can be used to ensure business and homes are complying with noise regulations. Data from sensors connected to traffic lights could be visualised to optimise traffic flow. Leakage from water pipes can be located using geolocated data from pump sensors. Analytics from video cameras and sensors could track and manage people flow through crowded places to ensure that pedestrians can get to their destination. Using these examples we will show how this application can provide a base which cities can use to store, manage, connect, visualise and analyse their data to improve the efficiency of cities and the lives of everyone who lives in them. 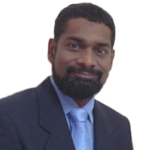 Siddiq has an extensive work experience in Geomatics. 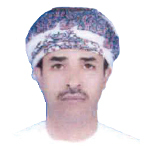 He has been working for Geomatics Department of Petroleum Development Oman, PDO, for over 35 years. After Graduation with a degree in Surveying and Mapping from East London University, Siddiq worked in the oil fields for over 5 years before he returned to UK in 1991 for a Master Degree in Geodesy at Nottingham University. He then went on a cross posting to work for Shell UK where he was involved in a major project to digitize charts and oil field maps. Later he managed the Oil and Gas rig move contracts in the North Sea. After his return from Shell cross-posting he took over the role of Head of Survey Services where he introduced GPS technology as a primary survey tool in PDO during 1996-97. In early 2000, Siddiq was appointed as Head of Geospatial Data Management team where he was instrumental in rolling out the ArcGIS platform, replacing the old in house PDO GIS application. He later was posted back to Europe, where he took role of Geomatics Consultant in The Hague, The Netherland. After his return in 2004 from Holland, he took over Geomatics Manager position in PDO, where he managed the department for over 10 years. 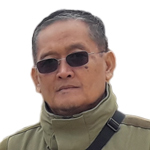 In his role as Geomatics Manager, he strengthened the geospatial and remote sensing capabilities by introducing Unmanned Aerial Vehicles, (UAV) in PDO. Since beginning of 2016, Siddiq has been seconded to Ministry of Oil and Gas, (MOG), where he took over the management and implementation of the new Oil and Gas Data Repository, (OGDR), system. This initiative made the oil and gas data much more complete and accessible to all stakeholders. Geospatial Interface is the Glue to Oil and Gas Data In a dynamic data driven petroleum industry, acquired data and knowledge considered to be an important asset. It provide all stakeholders the ability to draw added value from what already been used for its initial purpose of creating this data. In addition this will increase E&P data commercial value and support the country growing infrastructure development. Having a well organized, easily accessed and effectively managed data process, will lead to most efficient and successful utilization of available data that otherwise be stagnant and underutilized. In Sultanate of Oman, Ministry of Oil and Gas has been at forefront in embracing latest technologies to capture, maintain and organize Exploration and Production data that has been generated for many years by Oil and Gas companies working in Oman. As the old "Repository" system was difficult to reach and hence could not effectively draw added value of the stored data, MOG, with the help of a specialized service provider, embarked on an innovative project to open up the wealth of data managed by Oil and Gas Data Repository, (OGDR), centre using cloud based technology. In order to bring the Exploration and Production data together in an effective way, Geospatial data is now introduced in OGDR to play a crucial role to act as clue to bond all this data in one environment where it can be access, organized, analyzed and interpreted most effectively. This paper will discuss the new MOG strategy that has recently implemented to open up data access in more effective way using geospatial data as the frontend interface to Oil and Gas data. In the current era, linking the elements of maps with their database is a key pillar for managing countries' strategies in both public and private sectors. These data contribute effectively to the fields of security, defense, agriculture, civil organization, aeronautical and maritime navigation, construction, climate changes, natural disaster management, public and private transportation, and many other areas and applications as well as new projects such as social media, mobile and internet portals. Geographic Place-Names in Dhofar Governorate The geographic place-names represent important values in terms of cultural heritage of the nations. However, they are considered as the linking channel between human beings and their topographic surroundings and constitute their cultural identity which is orally inherited by generations over thousands of years. There are various geographical names in Dhofar resulting from the interaction between man and nature through different periods of time. These names identify geographical entities of all kinds due to the old human settlements in this region. The vast amount of geographical names in Dhofar represent a cultural repository that requires to be collected and registered. All United Nations' geographic organisations emphasize the importance of standardizing geographic place-names and encourage to have national programs to collect and register them, as well as to create a national competent authority to establish standards and laws to protect them from neglect and extinction. Oman NSDI supporting economic development "It's critical to make correct decisions the first time to optimize the Investments especially during tough times. GIS provides economic developers and Decision makers a framework for decision making, which helps minimize risk and maximize value." Economic developers and decision makers need effective decision-making tools that help them conduct analysis, display and disseminate results and make informed decisions about where to locate new businesses or grow existing ones. GIS technology is proven to be powerful and effective in delivering these functionalities to help economic developers sustain economic recovery and growth. GIS tools can provide the necessary platform for visualization, modeling, analysis, and collaboration. Oman National Spatial Data Infrastructure, being responsible for National GIS is working towards the goal of GeoEnabling the economic developers and Decision makers, the session will highlight the importance of GIS as a platform to help economic developers achieve their goals. ONSDI Services – Enabling GeoSmart Oman Everything happens somewhere. Information about location and what is happening at that location are essential components for decision making - to assist economic development in a sustainable manner, to manage our impact on the environment, to make our communities safe, to deliver services, and innovate in a digital world. The goal of ONSDI is to reduce duplication of effort among agencies, improve quality and reduce costs related to geographic information, to make geographic Information more accessible to the public, to increase the benefits of using available Information, and to establish key partnerships with government, academia and the private sector to increase GIS Information availability. Oman National Spatial Data Infrastructure (ONSDI) has taken many initiatives to achieve its goals for cooperation and have initiated many eServices for Sharing the GeoSpatial Information with its stakeholders, Academia and Public. The session will focus on sharing the information on ONSDI Services and how they can be utilized to support economic growth. Eng. Rabeea Al Aghbari is the Director of Geographic Information Services at the National Survey Authority with responsibility for National Geographic Archive including aerial photos, maps and Geographic library as well as being in charge of the Geographical Names section. Prior to joining NSA, Eng. Rabeea worked in field survey and was involved in border demarcation and then he worked in production department. He was also involved in GIS and remote sensing projects. Eng. 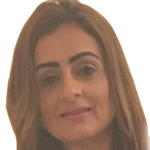 Rabeea received degree in Survey Engineer from King Saud University in KSA year 1993, and MSC in Geographic Information from Crandfield University in UK in 1997. Geospatial impact in economy of Oman As Oman endeavours to achieve its developmental goals, the multifaceted and specialised capabilities offered by Geospatial Technologies will play a defining role for information management in future with applications of great social and national significance and enable generation of cost effective, timely and reliable information in spatial as well as temporal domain. Oman will require an efficient and advanced information and knowledge regime to brace itself for the envisaged economic growth so Geospatial technologies with proven capabilities for supporting decision-making and would be fundamental for information management. 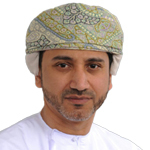 Dr. Al-Nofli is an educational expert at the Ministry of Education in Oman. He received a PhD in curriculum and instruction from Southern Illinois University in 2009. He has particular interests in geographic education, social studies, and curriculum issues. He has been actively involved in several projects with a special focus on geography/social studies curriculum development. Teaching Geography with Geo-technologies in Omani Schools: Current Status and Future Prospects Geo-technologies such as geographic information systems, remote sensing, and global positioning system have provided significant opportunities to geography education. This paper presents an overview of the status of geography teaching with geo-technologies in Omani schools, with particular focus on achievements and challenges facing the implementation of geo-technologies in schools. The study concludes with a number of recommendations to enhance the uses of geo-technologies. Ms. Kuhelee Chandel works as a Senior Research Analyst with Geospatial Media and Communications Pvt. Ltd., India. She is a double postgraduate in Geology and Geo-informatics. She has relevant experience of over 7 years in geospatial technology in mainstream industry including over three particularly in research. She is technically well versed in various geospatial technologies like photogrammetry, remote sensing & GIS. Her strengths include strong quantitative and data analysis skills, strong problem solving skills, confident decision making based on experience & technical skills. 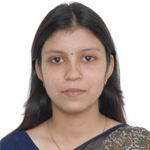 Her prior experiences include working with ESRI India and also lectureship at Symbiosis Institute of Geoinformatics. Value of Geospatial Technology in boosting Oman's Economy Geospatial technology plays an important role in providing value-added data and has helped various nations in enhancing their matter expertise along with better resource management capabilities across several verticals. Globally, many nations have accepted geospatial technologies in their interdepartmental processes and have also included geospatial initiatives as part of their future agendas for national development. The question, however, is how to measure economic and social benefits of the geospatial technologies? It is essential to measure the magnitude of economic and social gains to have better understanding of the geospatial industry and to know where the implementation of geospatial technology is most effective. A fast developing country like Oman can benefit from evolution of geospatial technology by adopting geospatial information to boost socio-economic growth. A number of factors come together to achieve this. An exclusive research, titled "Value of Geospatial Technology in boosting Oman's Economy", delves into these details and intends to support the country to better integrate modern technologies to provide cost effective services to citizens, conserve resources and establish economic prosperity. 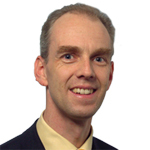 Richard is responsible for developing and delivering the address services portfolio within the team. Business-minded and customer focussed, Richard has been integral in driving forward the quality and use of address data in Great Britain. Richard brings to the table over ten years' experience on national projects such as the development of the National Street Gazetteer hub and a major national resilience project. Most recently he created and led the team which successfully launched and matured the National Address Gazetteer – culminating in the creation of the first UK spatial address dataset. 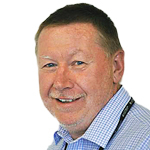 Richard has contributed to the development of national, European and international geographic data standards and is widely recognised as one of the most authoritative voices in the field. Addresses connect people, business and governments with each other and with the world around them. The digitally-enabled and spatially-aware way in which we now communicate, access services and make decisions amplifies this potential to new levels. In order to achieve this potential we need to implement universal addressing and create data infrastructure which provides us with access to the information we need, when we need it. However, we have not yet achieved this. Worldwide, coverage of addressing is poor and where addresses do exist benefits go unrealised due to lack of authority, poor data management and barriers to use. This costs money, reduces competitiveness and restricts access to rights, services and aid. In the worst scenarios lives are at stake. While many governments now recognise the need for good addressing, often solutions take the form of isolated projects which focus purely on technology and policy outputs. This presentation outlines an approach for managing addresses and address data as key piece of national infrastructure, and details the essential components of this infrastructure (including references to relevant standards). The approach recognises both the complexity and potential of this by applying vision, strategy and roadmap to not just the technical, financial and policy aspects but also to relevant people, partnerships and relationships. The outcome of this approach is a sustainable community delivering measurable benefits at scale. Oman NSDI GeoSpatial Mobile Apps Framework Mobile Apps has changed the way we look at the applications world nowadays, some years before GIS used to be an Information System which requires heavy Workstations, servers, Robust Infrastructure, Specialized software and what not. With the revolution of Mobile technology things have changed and all the Information is available in your hand. Geospatial Information is not an exception and it requires Creative initiatives to adopt to this evolution and allow location-aware on-the-go apps . Oman NSDI has developed a GeoSpatial Mobile Framework, which supports its stakeholders developing the GeoEnabled Mobile apps quickly. The session will highlight the ONSID GeoSpatial Mobile Framework and Oman NSDI's mobile applications for Community. Oman National GeoSpatial Database and Standards Development of National GeoSpatial Database and National GeoSpatial Standards is a primary activity for any National Spatial Data Infrastructure. Oman NSDI had been working on development of the Oman National GeoSpatial Database (NGDB) in collaboration with stakeholders and have made significant progress. The Logical Design and Data Ownership is approved by Technical Executive Committee and physical database creation is underway. Oman NSDI has also initiated working on development of National GeoSpatial Standards and had released its first standard for Metadata, "National Standard for Metadata for GeoSpatial DataSets" and also released Metadata Editor tool for ArcGIS users. The Session will share the information about the advancement on the National GeoSpatial Database and National GeoSpatial Standards. 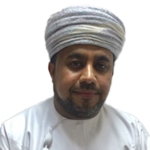 Dr Ghazi Al-Rawas is Assistant Dean for Training and Community Service, College of Engineering, and Assistant Professor in Civil and Architectural Engineering Department, Sultan Qaboos University (SQU). He completed his PhD in Civil (Geomatics) Engineering from the University of Calgary, Canada, 2009. He obtained his MSc in Environmental Remote Sensing and GIS from Boston University, USA, 2001, and his B.Eng. in Civil Engineering, SQU, 1997. His research interests in remote sensing and GIS in multi-hazards and risk assessment: extreme events include flash floods and climate change. 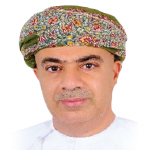 He is participating in a number of strategic research/consultancy projects in Oman. 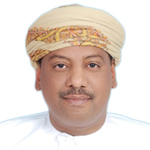 He is member in UNESCO International Hydrological Program (IHP) Committee, and IAESTE-Oman National Secretary. Muscat Governorate is located in a prominent coastal position and is set against the backdrop of the Hajar Mountains. Urban development of Muscat Governorate has therefore had to occur in the intervening flat coastal plains and valleys along the coastline. The physical location of Muscat Governorate exposes the city to heavy rain and cyclones as they hit the coastline from the Sea of Oman. This underlying vulnerability plays a major role in the risk processes that lead to the emphasis of particular climate change risks including storm surge and rain-related flooding as experienced in 2007 during Cyclone Gonu. For the purpose of this study of detailed risk modelling and assessment study was developed to quantify and validate the risks of flash flooding to urban area and infrastructures. The GIS modeling has identified a substantial number of 'serious' risks from extreme rainfall events that could lead to direct damages to the sectors considered in this study. This reinforces the need to protect and strengthen current defenses against these events as well as greater preparedness in disaster response. Role of remote sensing applications in mineral exploration and sustainable development in Oman Applications of remotely sensed satellite data are wide and unique in mapping of different lithologies, mineral resources and ore deposits. Oman has potential occurrence of the industrial minerals and ore deposits which are mostly occurred in inaccessible mountains and deserts regions where it is difficult to do conventional geological mapping. The technique is low-cost and save time in mapping and exploration of such resources and well suitable and applicable to Oman and arid region. In the present work, the study of absorption characters of spectral bands of Advanced Space borne Thermal Emission and Reflection Radiometer (ASTER) and selected imaging processing methods namely decorrelation stretching, band ratios, linear spectral unmixing (LSU) and Mixture Tuned Matched Filtering (MTMF) demonstrates that the sensor has capability to map several mineral deposits and different rock lithologies in Oman, which includes copper, chromite, awaruite, and manganese deposits, and limestone, listwaenites, carbonatites, metamorphic zones rock formations of different parts of the Sultanate of Oman. 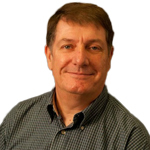 Albert Godfrind has over 25 years of experience in designing, developing, and deploying IT applications. His interest and enthusiasm for spatial information and geographical information systems started at Oracle when he started using the spatial extensions of the Oracle database in 1998. Ever since, Albert has been evangelizing the use of spatial information to GIS and BI communities across Europe, consulting with partners and customers, speaking at conferences, and designing and delivering in-depth technical training. We will also talk about more "GIS-specific" processing for structures like satellite imagery, terrain models, statistical rasters, by applying raster algebra processing. 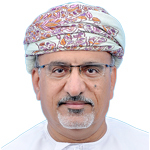 Moosa Hamed ALmusalami holds BSc in Geography from Sultan Qaboos University and MSc of geographical information system from university of south Wales. He has over seven years of experience in teaching geography and carrying out some workshops and training programs in GIS applications for geography teachers. Fresh Produce For All When we go shopping, we always want access to fresh produce, it keeps us healthy and fit. This is exactly what decision makers want, they rely on up-to-date (fresh) data to enable them to make informed business decisions, therefore to ensure this, access to fresh data needs to be simplified and opened to many users. Using the Airbus Satellite Constellation, new solutions such as One Tasking & One Atlas facilitate access to the freshest data available right to your desktop, without the need for major investment in IT infrastructure. Couple this with access to the most extensive archive of Historical satellite data and your Business Health should be ensured! Driving Competitiveness – use of Geospatial data to improve productivity Staying competitive while at the same time being credible and affordable, without compromising safety, to deliver business improvement, value and support the organisation's drive for continuous improvement is a key focus area for Geomatics in PDO. This paper brings real examples of where the value of geospatial has been realised with real projects that had significant added value to PDO. It will shed light on the topics such as; Road Safety, Well Deferment Analysis, Electronic Permit to Work and Geomatics Project Management Tool. 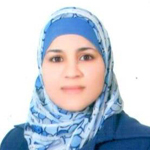 Manal Al-Hajji is an expert in GIS Applications and Planning. She has more than 10 years of experience in Canada and the Middle East. Manal is currently working with the UN-Habitat on applying GIS applications and analysis, and amending and reviewing land use plans, land division applications, zoning regulations as part of the Future Saudi City Program. Prior to that she worked as a GIS Specialist for Halton Regional Municipality in Canada and for Dubai Municipality. During her career, Manal provided support on GIS and spatial analysis to local governments and the private sector in several countries around the region. Manal has a graduate degree in Applied Digital Geography and GIS from Ryerson University, Toronto, Canada; and a Bachelor Degree in Architectural Engineering from Jordan University of Science and Technology.